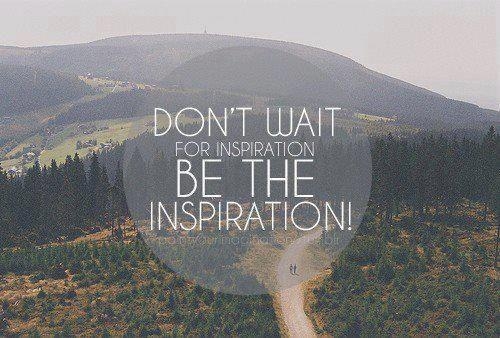 Inspiration does not come to those who wait. A few random folks may find themselves inspired while bored, but this does not mean they sat under the tallest tree in a field and meditated until the idea arose. The shade of this magnificent conifer, blocking all ultraviolet radiation from seeping deep into a soul does not require additional metaphysical language to achieve new ideas. It is in actuality, quite the opposite. To prove this hypothesis I set out to have a scientific controlled experiment under the standardized rules of one control, and one variable. The control was fiction writing. The variable was only writing when inspired. The problem, I quickly realized, was how to begin writing if I wasn’t inspired to start? So I found something to trigger inspiration: music. April of 2015, I awoke and set out to only write parts of my first-draft novel (also commonly called “my WIP,”) when this illustrious inspiration struck. Instead of my ritualistic morning of normality in my OCD-addled brain, I broke tradition, and did not do what my brain assured me, would cause this magical rock of space-lint to fail rotating. The first week – nothing. Not a word. No inspiration came while I waited on the porch, paced the hallways at work and listened to the echoes of the business world ricochet around the padded cubicles of corporate torture, and not even while I drove did inspiration honk it’s proverbial horn at my rusting minivan. Inspiration failed to respond to any meetings I attempted to schedule. The second week I tried to change things slightly. I bought the album “Idlewild” from They Might Be Giants and listened to some new music from one of my favorite – and most inspiring – bands. However, inspiration came to me in a different light. Instead of appearing in dreams as an angel who sounds like Lily Tomlin as a telephone operator mixed with Kenny from South Park, TMBG’s new album inspired me to create something I haven’t made since the early 2000’s: music. I began writing small lyrical passages and note riffs down in Evernote, just to get them out of my brain. But something odd happened: the more I wrote, the more inspiration arrived. The third week made me change things a little. Instead of waiting for inspiration – I chased it like TMZ chase Kanye West. I forced myself to write, with music playing along side of things, and guess what happened? If you guessed that inspiration followed the hard work idea, you get a cookie. Don’t worry, it’s gluten-free, sugar-free, salt free, chocolate free, fat-free, and . . . yeah, it’s a dry cracker. Inspiration and dreams of making something out of one’s life, especially to those of us, to you and I, the creative people who see the world in multiple colors and notes and songs with graphics and high-definition hues – we do not need to wait for inspiration. We’re the ones who inspire ourselves to do more. To build more. To see more life in art and music and poetry. We see the little video clips of ISIS smashing these ancient sculptures in foreign lands, and even though we may have never seen those works of art before, our hearts break knowing that art – that historical element of beauty and passion chipped into solid sandstone boulders by bloody hands and primitive tools – are lost forever. We do not wait for inspiration. We chase it. Expand it into universes larger than the imagination could realize, and transcribe those stories, the songs and words, into meaningful dialog that tears at the soul of those who view it. ← Nano 4 – Catching up.